So in honor of Spring, I created this card for the PCCCS 32 challenge. I used supplies from the Spring Catalog and the colors Daffodil Delight, Melon Mambo, Baja Breeze, and Pacific Point. How wonderful that our Designer Paper now has all the matching colors written on the back of the package! All products can be purchased in my online store. Here is sketch challenge 32. Please join in and create your own wonderful interpretation. Also, check out all of the other creative cards our design team has come up with on the Paper Craft Crew Blog. WOW. I am so excited about Stampin' Up! 's new promotion! A FREE BIG SHOT (OR $100 in free Merchandise!!) for new demonstrators who sign up in OCTOBER!! CLICK HERE to find out more, then click Join Now. Purchase the Stampin' Up! 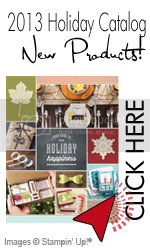 Starter Kit during the promotion period and receive a Sizzix Big Shot Machine or $100 in Stampin' Up! products of your choice from any of our current catalogs. Value is at over $410 and ships FREE. Tags: demonstrator, Free Big Shot, Janet Marks, L-INKed with Friends, Stampin' Up!